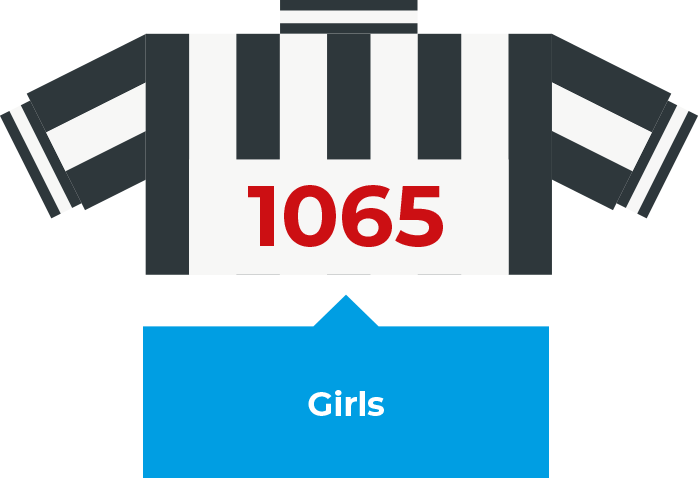 In 2018 Newcastle United Foundation was 10 years old. Read on to find out how we used the power of football to change lives in 2017/18. Thank you to Parkdean Resorts who have sponsored our first ever digital annual review. 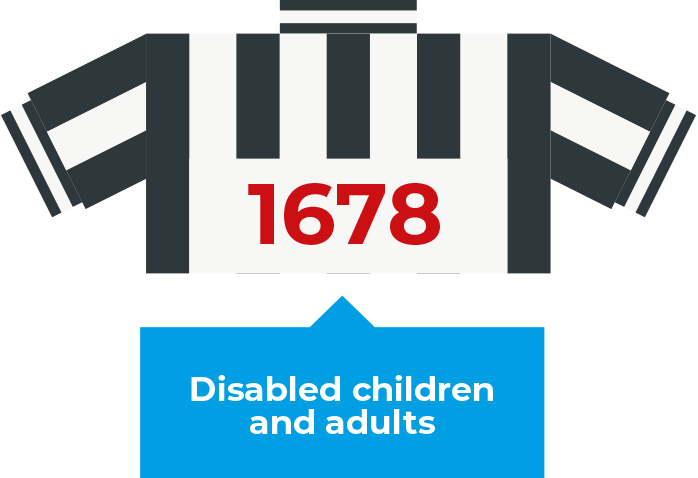 We also thank Newcastle United Football Club, the Premier League and all our funders for their ongoing support. Project Pitchside is an historic project for Newcastle United Foundation. This ambitious development will deliver a world class facility for the people of Newcastle and beyond. 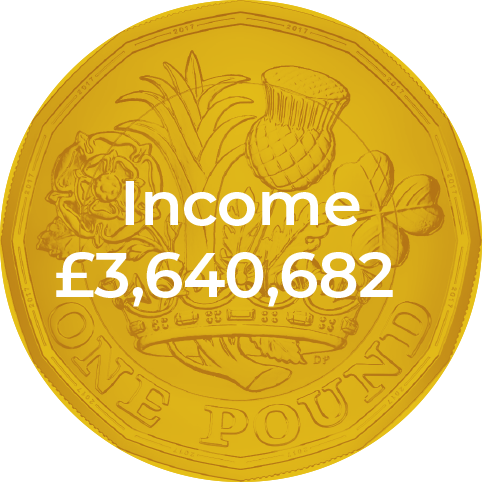 It is not just about bricks and mortar; it is about transforming lives, giving a community a new lease of life and changing it for the better, forever. To find out more how you can get involved or show your support contact Sarah Medcalf. 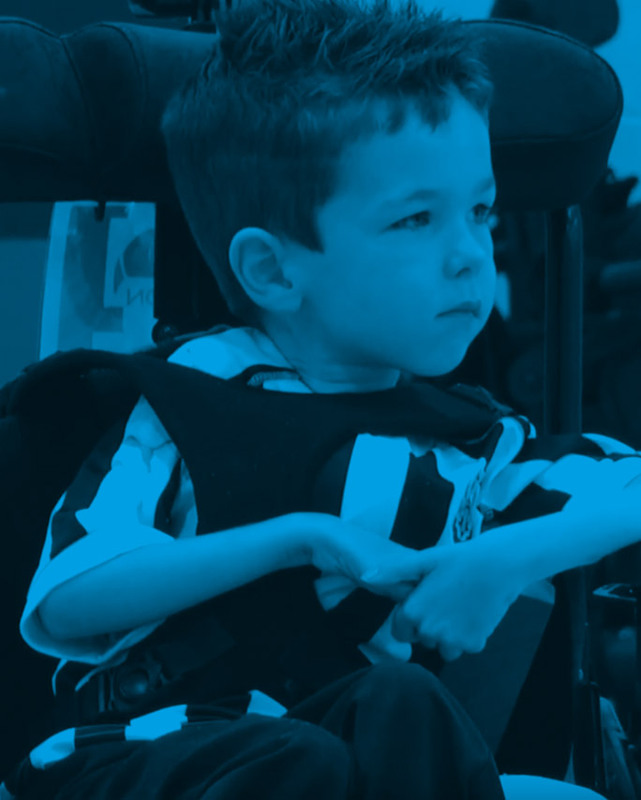 Seven year old Sam McKie is a star Powerchair football player. 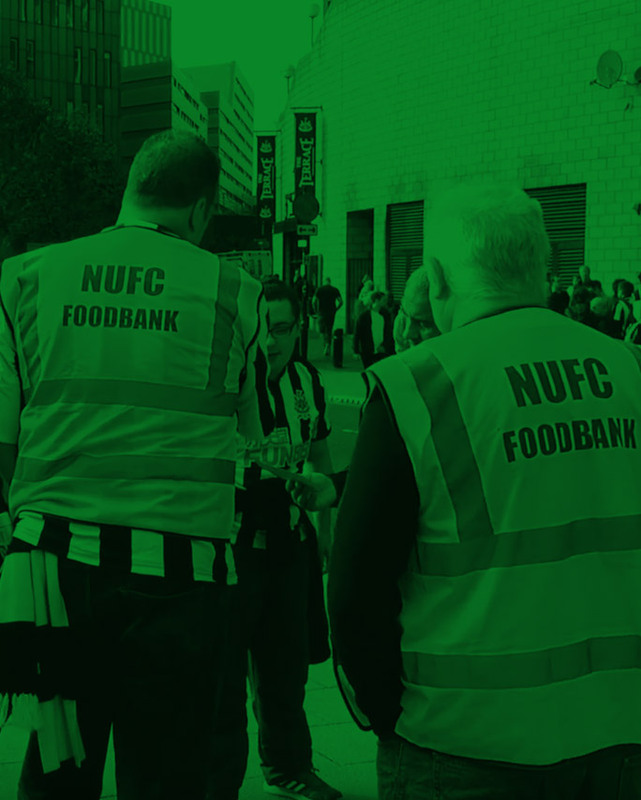 The Foundation has joined forces with Newcastle United fans to support the West End Foodbank. Olly McKenna met the Foundation after being diagnosed with a brain tumour. To help build safe, strong, active communities. I have been so impressed by the scale and impact of the work Newcastle United Foundation does in the community. 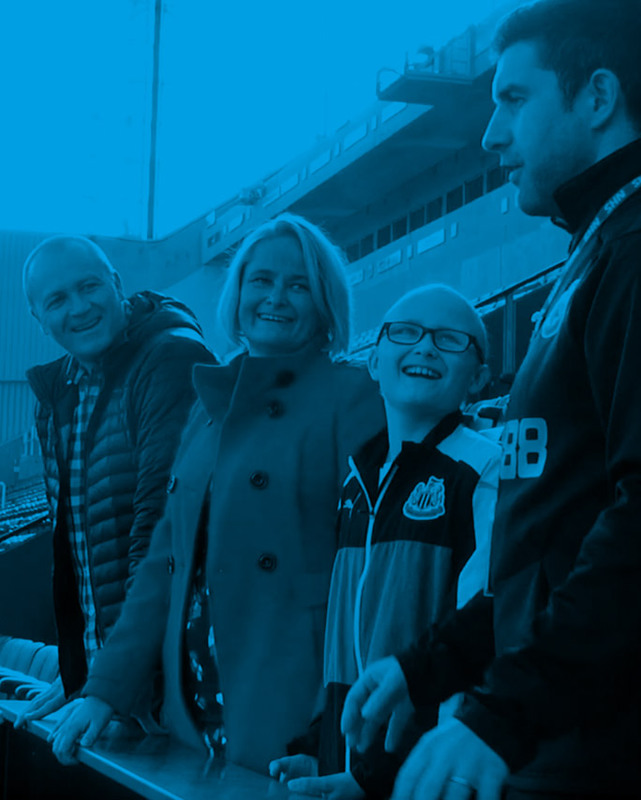 Their vision for the future, building Project Pitchside just around the corner from St. James’ Park, is really inspiring and will enable them to help even more people. It makes me really proud to be a Toon fan.  I congratulate Newcastle United Foundation on their 10 year anniversary. 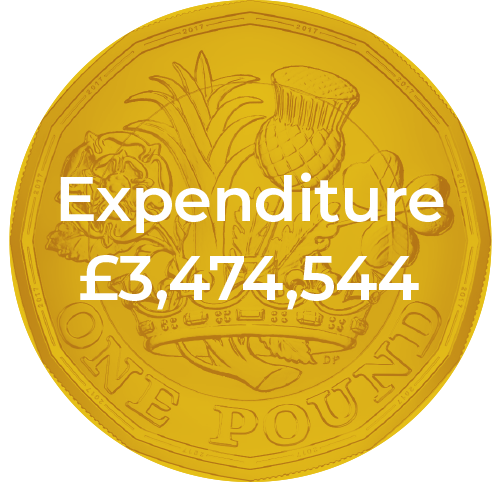 Although the return on investment figures in the recent EY report are certainly impressive, the real value of their support to local people is priceless. It has been fantastic to see how Kicks is inspiring young people across the North East. As a Force, we are committed to working with partners to support younger members of our communities. We want to see everyone given opportunities to reach their full potential and I commend platforms like this for helping people achieve their goals. 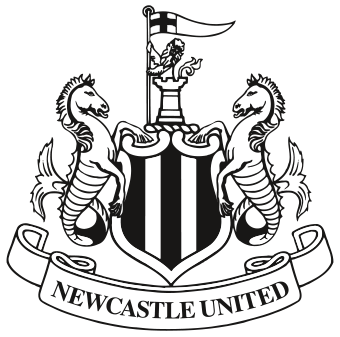 Newcastle United Foundation is a key partner for the City Council in delivery of a range of wellbeing and health initiatives, building upon its iconic brand and influence – reaching out to individuals and communities who might not otherwise engage with public health programmes based upon physical activity and fitness. It’s critical for Atom that we’re nurturing the right skills and talent in the region and it’s great to be able to contribute to this. 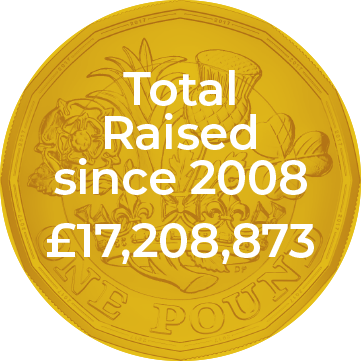 I’ve been involved with the Foundation for a number of years and feel really passionate about what they do for the local community. *Calls cost 7p per minute plus your phone company’s network charge.